Design Lad’s signature quirky CGI style and boundless imagination were unleashed on this sizzling TVC, to showcase Virgin Mobile’s red hot deals. In it we follow the phone’s journey through the scorching ‘Hothouse’, where nothing leaves until it’s HOT. This spot was co-directed with our in-house animation team, KITCHEN. Virgin Mobile launched a new campaign that brought to life the benefits of its service and incredible deals. 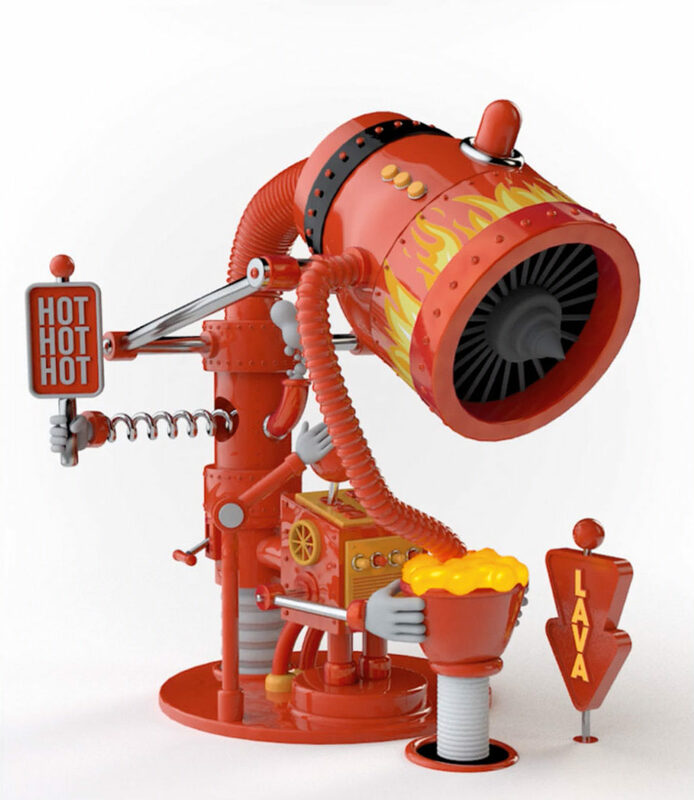 “Hothouse” is an evolution of Virgin Mobile’s “Red Hot” campaign, and dramatises the amazing value customers can get. From the UK’s lowest monthly price on popular handsets to monthly Data Rollover, the concept behind the campaign is that nothing leaves Virgin Mobile’s ‘Hothouse’ without being a sizzling hot deal. The TV ad takes viewers on a handset’s journey through the ‘Hothouse’, accumulating Virgin Mobile’s amazing benefits along the way. 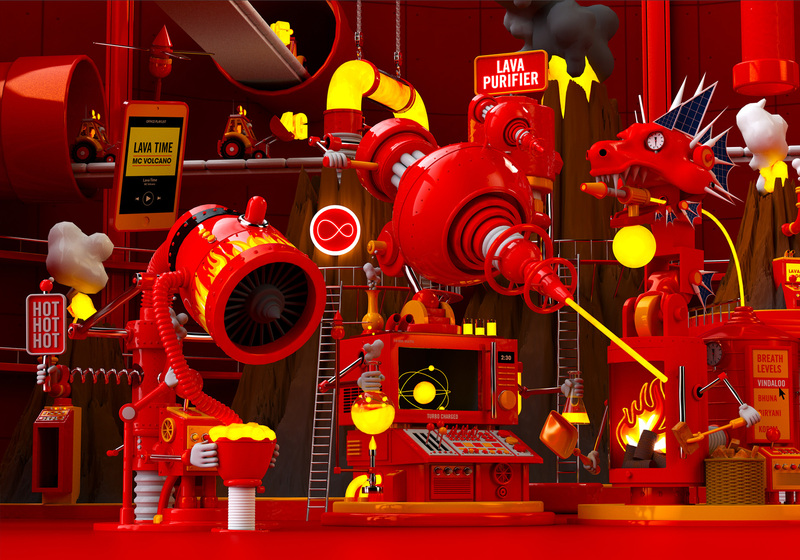 The film uses striking animations of make-believe devices, such as the pepper spray breathing dragonators, to depict Virgin Mobile’s hottest deals through the playful concept of a ‘Charlie and the Chilli Factory’ style visual.